Welcome to our August 2018 edition of This Month in NYS Museums! Reading one of Sarah Heikkinen’s stories today in the comfort of an air-conditioned office brought back a memory from last fall when I visited the Seneca Park Zoo for the first time and wondered how the animals felt on overly-warm days like today. The Zoo is undergoing tremendous change under the leadership of Pamela Reed Sanchez, and we are delighted to share how they are shaping a zoo for the future of their community, their animals, and the environment. MANY’s fall will be filled with professional development opportunities, and this month’s article about the Brooklyn Historical Society’s new location in DUMBO will give you a taste of what awaits you at one of our Meet-Ups. Looking forward to November, the third article in this issue explores why you should attend the Risk Management for Collections workshop on November 13th, led by Dr. Bart Ankersmit and Renate van Leijen from the Cultural Heritage Agency of the Netherlands in Amsterdam (RCE) and hosted by our friends at the Oneida County History Center. Space is limited for this particular workshop, so I encourage everyone to register before it fills up! Click here for our full event schedule. I look forward to seeing as members as I can this fall! Everybody feels welcome at a zoo. Whether you’re a young child seeing an elephant for the first time, an animal lover hoping to get more involved in your community’s conservancy efforts, or a group of friends looking for a fun thing to do on a summer weekend, zoos are universal. At the Seneca Park Zoo in Rochester, NY, new steps are being taken to broaden their audience and engage their community, all while promoting the idea that everyone, humans and animals alike, will always be welcome inside. “Brooklyn is incredible, Brooklyn is an adjective,” says Marcia Ely, Vice President of Programs and External Affairs of the Brooklyn Historical Society (BHS). And she’s right. 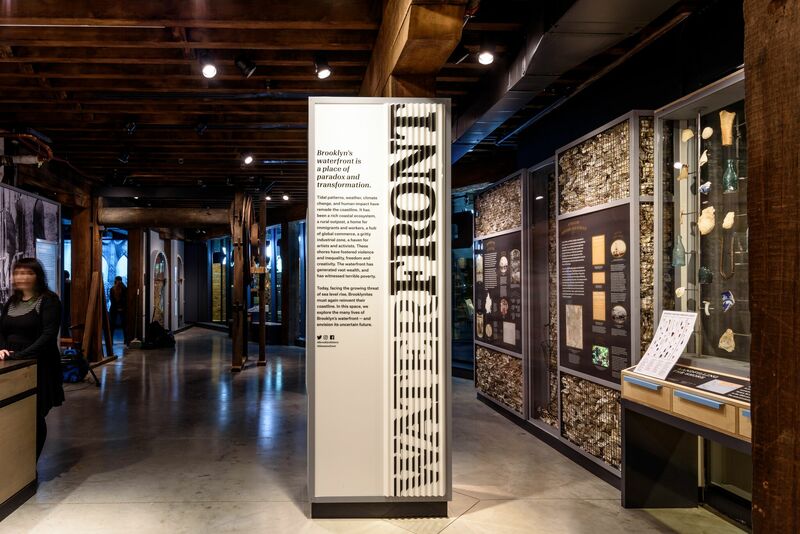 With a new location in the famous DUMBO (Down Under the Manhattan Bridge Overpass) neighborhood, an exciting permanent exhibition celebrating all things Brooklyn and water, and big plans for the future, the Brooklyn Historical Society is ready to amplify the already elevated stature of one of New York City’s five boroughs. As fall begins, the MANY staff and board know we will be seeing colleagues in September in Catskill, Canandaigua, Fort Ticonderoga and in Cooperstown for 2019 conference planning. But there are so many opportunities for museum professionals in October, it could be renamed “Continuing Education Month” and we could start a new tradition with all of the choices of places and ways to learn. I don’t think I’d be exaggerating if I said that all of the museum professionals I know enjoy learning. We devour texts, track down clues to unlock mysteries, and joyfully attempt to decode beauty in nature, art, and material culture. Learning from peers in small group settings may be my favorite way to learn. Want to be featured on our Instagram? Direct message photos and suggestions to @nysmuseums or email them to sheikkinen@nysmuseums.org. CMoG's GlassBarge is on the final legs of its journey across New York State. Read more about the architectural history of the Barge here. Our members at the Metropolitan Museum of Art are making history! If you haven't had a chance to see the Met's "Heavenly Bodies" exhibition yet, check out this piece from Artnet to find out why you should. What wonderful news from our friends at the Herschell Carrousel Factory Museum! Congratulations to Megan Hahin, the Carrousel Museum's new executive director, and the recipient of one of our 2018 Awards of Merit. Read more here. In this lovely op-ed for Syracuse.com, our members (and future Water/Ways hosts!) at the Erie Canal Museum in Syracuse preview one of their new upcoming programs, The Erie Canal in Pop Culture. Learn more here. We have to admit, we loved seeing all the funny memes our members and colleagues were sharing last week for Museum Meme Day! You can see a thread of our favorite museum memes here, and read more about how other museums participated here. Contact Margarett Gibbs for more information. Do you have a suggestion for what our Marketing & Social Media Coordinator should feature in the next newsletter? Send all article ideas, photos, and upcoming events to Sarah Heikkinen (sheikkinen@nysmusems.org) with the words "MANY Newsletter" in the subject line. Keep our three main issues in mind when you're brainstorming ideas: Resources, Community, and Exhibitions & Collections.